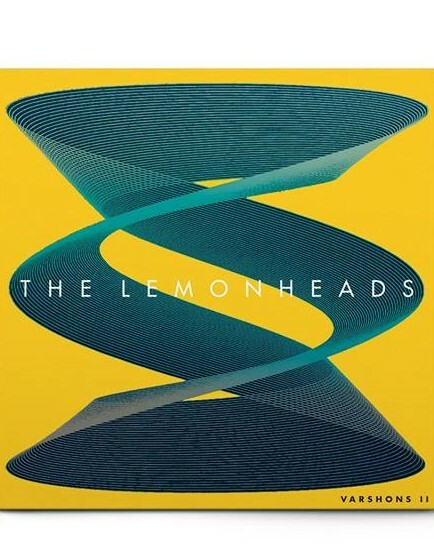 The new Lemonheads record "Varshons II" was released February 2019. Chris played on the album and is in the touring band playing guitar. TOMMY STINSON (The Replacements) will open all shows. Chris will be touring the U.S. with THE LEMONHEADS May and June 2019, playing 34 shows. The band will be Lee Falco on drums, Farley Glavin on bass, Chris on guitar and vocals, and Evan Dando on guitar and vocals. TOMMY STINSON (The Replacements) will open all shows. The new Lemonheads record, "Varshons 2," was released February 2019. Chris and Findlay//Sandsmark, a Norway-based performance company working in dance, theater, video art, and live music, collabored on the development of a new multimedia piece called "Florida (lowlands)." They presented the work in four shows in March, 2019, at Rimi/Imir SceneKunst in Stavanger, Norway, and at the Oslo Internasjonale Teaterfestival 2019. Details here about the project. Chris composed the film score for the feature film "Buck Run," which had its world premiere at the Palm Springs International Film Festival in January, 2019. The movie is directed by Nick Frangione and stars James Le Gros. Variety says: "The drifting electric guitar of Chris Brokaw’s score further amplifies a timelessly melancholy air." Chris's music for Peter Hutton, composed to be performed with the filmmaker's short films, was released in a limited edition on Tape Drift Records in 2018. Chris presented the work in 2017 and 2018 in screenings of Hutton's films, including a show in June, 2018, in Norway. Also in 2018, Chris reworked/remixed a recent film score piece for compilation VIII on ALREADY DEAD TAPES of Kalamazoo, Michigan. It was released August 31. Details here. The debut LP of Charnel Ground was released April 6, 2018. Charnel Ground are Chris Brokaw (guitars), Kid Millions (drums) and James McNew (bass). 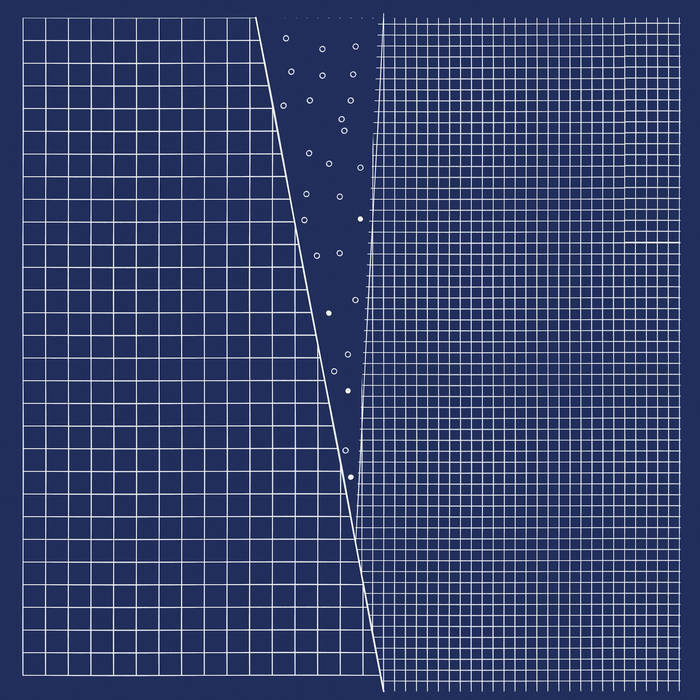 Spin says: "Charnel Ground’s real treasure is its 18-minute album-closing title track, the kind of elegantly sprawling feedback jam that often crops up near the end of a Yo La Tengo album. 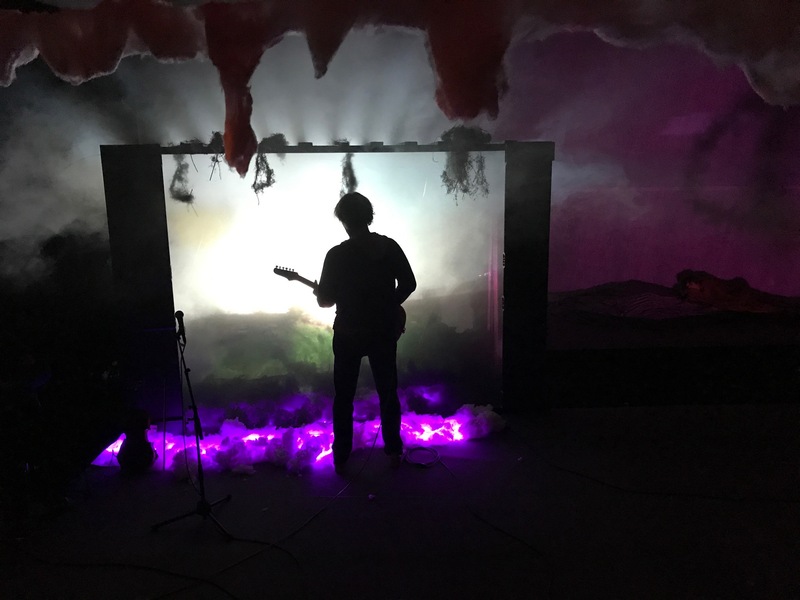 Brokaw plays with real tenderness as McNew and Millions patiently keep time behind him—a reminder that improvised noise rock, when played well, is fully capable of touching your heart as well as melting your face." For sale here! In December 2017, OMENTUM RECORDS of Pittsburgh released Chris' 2008 CD "CANARIS" on vinyl. Black vinyl and limited edition goldenrod, plus new liner notes by Steve Lowenthal (VDSQ) and Wlad Drakkstein (Vlad Tepes). For sale here! 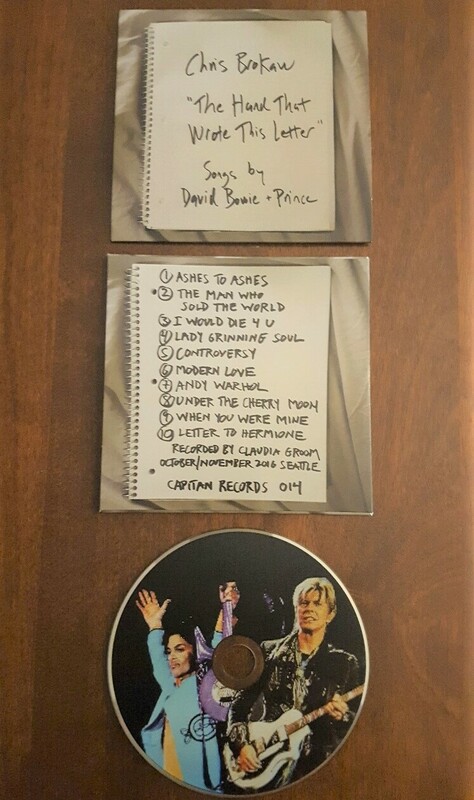 In November, 2017, Chris released THE HAND THAT WROTE THIS LETTER, a cd of instrumental classical guitar versions of David Bowie and Prince songs. This is Capitan Records 014, the first release in a few years on Chris' own label. The track list includes THE MAN WHO SOLD THE WORLD, I WOULD DIE 4 U, CONTROVERSY, and MODERN LOVE. Read an interview Chris gave with Carsten Wohlfeld for Westzeit Magazine about the cd. For sale here! "BARRACUDA," a feature film by Julia Halperin and Jason Cortlund with a film score by Chris, had its US release on October 6, 2017. The movie was nominated for the SXSW Gamechanger Award and the SXSW Grand Jury Award at the SXSW Film Festival 2017, and won the Grand Jury Prize for Best Narrative Feature at the Oak Cliff Film Festival. See the Hollywood Reporter review and what the filmmakers say about the movie. 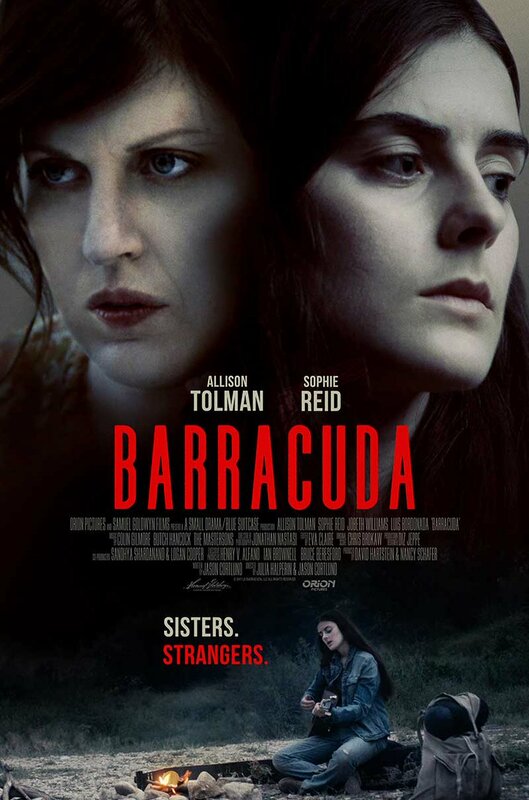 BARRACUDA is available in the US on video on demand from cable/satellite providers as well as from digital streaming services including Amazon, iTunes (US & Canada), Kanopy, Google Play, Vudu, Fandango Now, and Hoopla. Chris and Jimena also performed in 2018 in Belfast and in Massachusetts. LEMONHEADS "VARSHONS 2" cd and lp -- Fire Records, February, 2019 -- As with "Varshons 1," this album is a set of covers of songs by 13 artists, including Nick Cave & The Bad Seeds, Lucinda Williams, The Jayhawks, and The Bevis Frond. 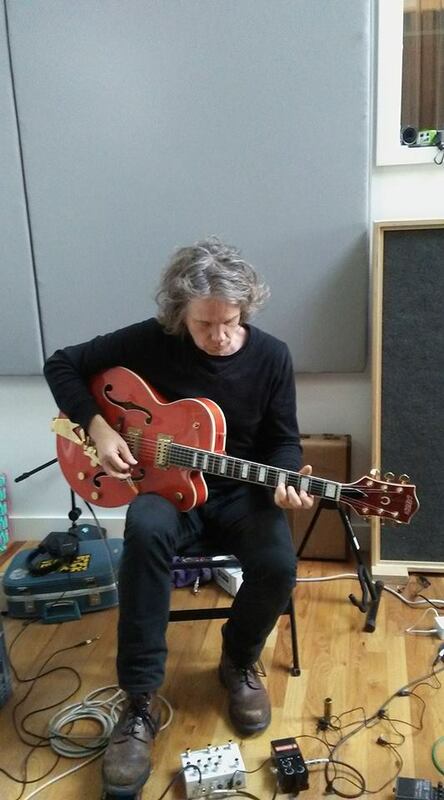 Chris played guitar on the album, including the lead off track, "Can't Forget" by Yo La Tengo. Track list here. The band played Europe January and February 2019 and will be touring the U.S. in May and June 2019 with Lee Falco on drums, Farley Glavin on bass, Chris on guitar and vocals, and Evan Dando on guitar and vocals. 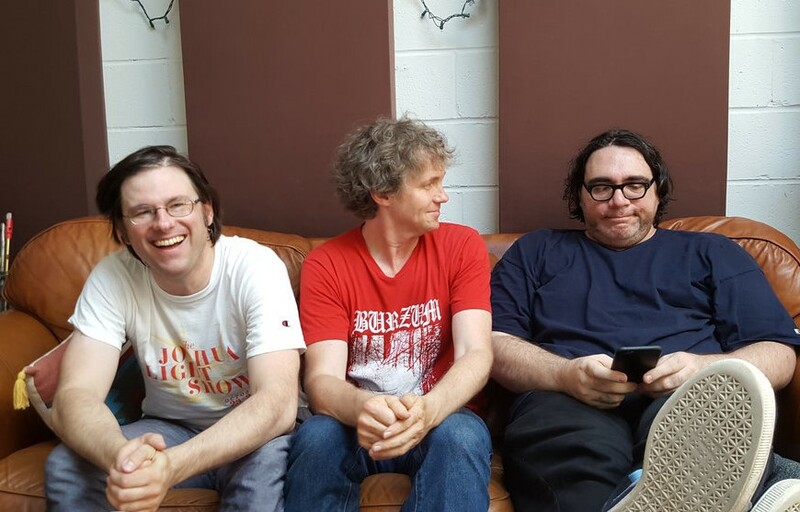 "CHARNEL GROUND" lp -- 12XU, April 6, 2018 -- Charnel Ground's debut release was recorded in Brooklyn, NY, and features Kid Millions (Oneida/Boredoms) on drums, Chris on electric guitar, and James McNew (Yo La Tengo) on bass + organ. Listen on bandcamp. “'The High Price' is a total rager, with Kid and McNew laying down a demonic beat and Brokaw coughing up shards of glorious riffage and white-hot feedback,” says Doom and Gloom from the Tomb. “But the album isn’t all thrash-and-burn. 'Playa del Ticia' and 'Skeleton Coast' are both sunshine-infused pop numbers. Best of all is the closing self-titled epic, with the band finding an elevated plane of sonic conversation over the course of nearly 18 wonderfully transporting minutes.” A download code is included with the LP. For sale here! 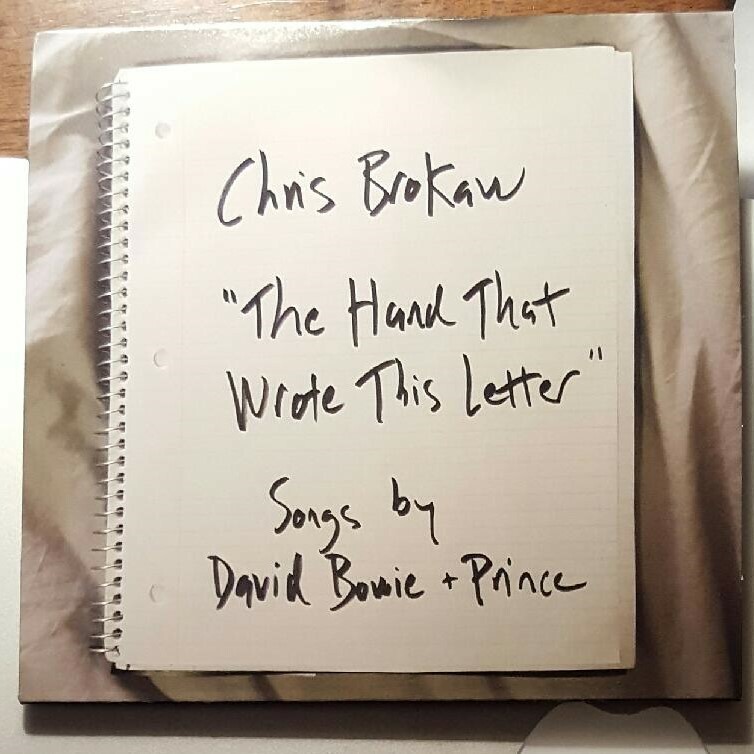 CHRIS BROKAW "THE HAND THAT WROTE THIS LETTER" cd -- Capitan Records, November 28, 2017 -- When a friend asked Chris to play at her wedding in 2016, Chris asked her for requests -- and she said David Bowie and Prince. Chris turned some of their songs into classical guitar instrumentals, performed a few at the wedding, began playing them obsessively at home, and decided to make an album. This CD, 014 on Chris' Capitan Records label, was recorded by Claudia Groom October/November 2016 in Seattle, Washington, and mastered by Matthew Barnhart in Chicago, Illinois. For sale here! 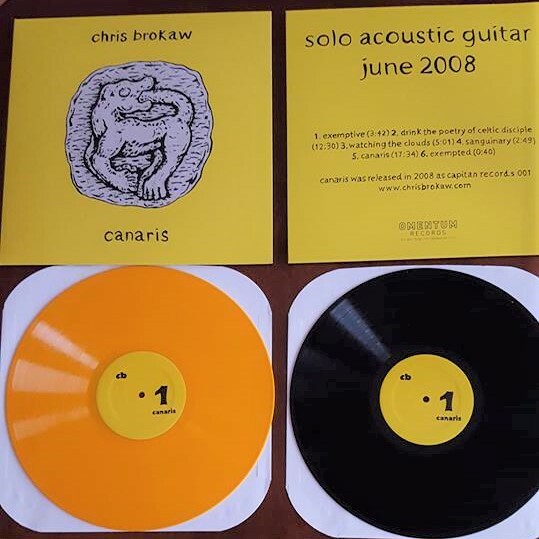 CHRIS BROKAW "CANARIS" lp -- Omentum Records, December 9, 2017 -- This is an LP reissue/remaster of Chris' 2008 CD. Available in GOLDENROD or BLACK vinyl. New art and liner notes by Steve Lowenthal (VDSQ) and Wlad Drakkstein (Vlad Tepes). For sale here! THE NEW YEAR "SNOW" cd and lp -- Undertown, April 28, 2017 -- "Snow" is the band's first album in nine years. It features Matt and Bubba Kadane on guitars, Mike Donofrio on bass, and Chris on drums. Pitchfork calls the album "a spare, deliberate record, judiciously paced and artfully arranged. With its wide-open vistas and vast expanses of negative space, the album lays claim to the territory the band staked out 25 years back while managing to turn over a couple new leaves." 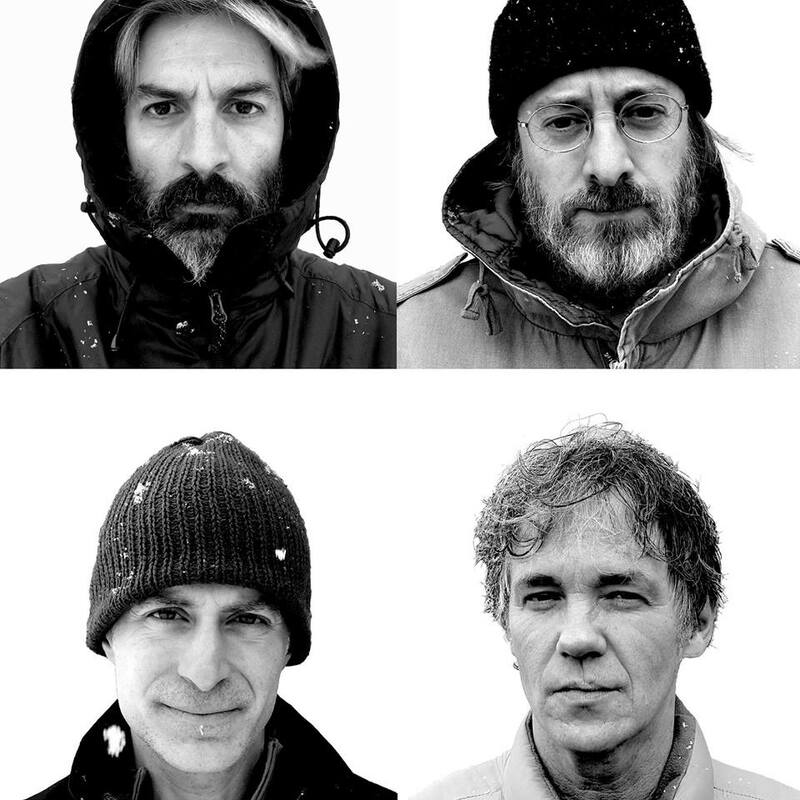 See a video of the title track "Snow". THE NEW YEAR website has other reviews and purchasing info.